The Moto G6 is one of the best phones you can get at around the $250 mark, but if you wanted to save even more on this great budget device, this latest deal may be right up in your alley. Black Friday is sure to offer a flurry of deals on all the high-end Galaxies and iPhones, but if you're looking for a device that offers a real bang for your buck, the Moto G6 is sure to deliver. It packs a respectable Snapdragon 450 processor is paired with 3GB RAM, 32GB of internal storage, and a 3000 mAh battery. Furthermore, it has a trendy tall display and looks quite sleek for a budget phone. 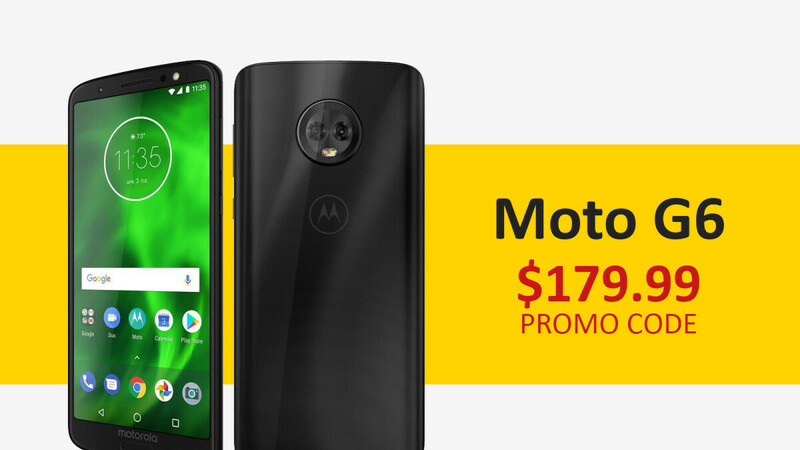 Newegg now has the Moto G6 on sale for $199.99, but you can bring that down to just $179.99 by using the EMCEEPY32 promo code on check out. Just add the phone to your basket, register your email, and add the code when you're ready to check out. Moto One Power , an Android One Phone sells for $190 in the east. Compared to that, this is poor value.